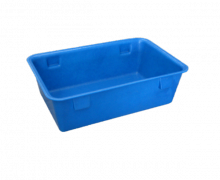 Heavy duty plastic tub for industrial and food processing uses, has FDA approval. Reinforced gusset corners for stress crack resistance. Any colour and labeling, lids available. 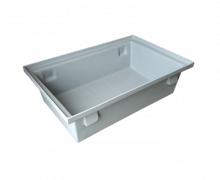 FDA approved meat and offal processing tub which is flexible for removing product, can be used as a tote storage tray. 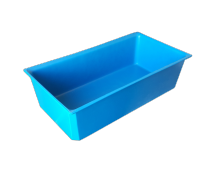 Industrial Heavy duty plastic tubs, totes, Drip trays & drain pan for automotive oil containment or FDA food production tray, freezing, cooling, heating, takes rough treatment in harsh environments. Heavy duty meat dixie tub for industrial and food processing and freezing, has FDA approval. nestable with moulded in product ID tags. Any colour and labeling. Heavy duty meat dixie tub for industrial and food processing and freezing, has FDA approval. 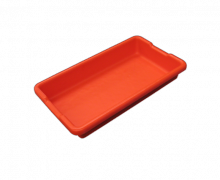 nestable, includes strong gusseted rounded corners to withstand shock, stress crack resistant plastic. 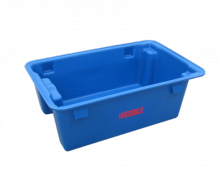 Extra heavy duty meat dixie tub for industrial and food processing - blast freezing, has FDA approval, nestable, any colour and labeling. Heavy duty meat dixie tub for industrial and food processing - blast freezing, has FDA approval. 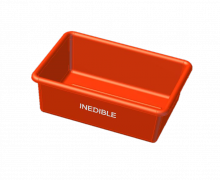 nestable with rounded corners to withstand shock, stress cracking, any colour and labeling. 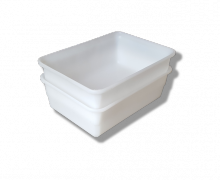 Fish fillet and processing tray with FDA approval, - nests easily with wide radius corners for strength and easy cleaning. automotive oil drain pan. 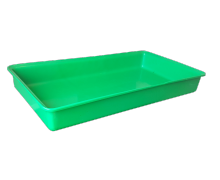 Heavy Duty LDPE plastic dixie tray. 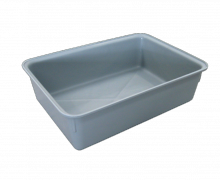 FDA approved tub for fish, meat and food processing. Strong top rounded edge and corner bracing for high impact and stress crack resistance. Made in NZ. 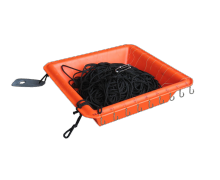 Plastic set line & hook box, fishing made easy with no tangles, cracks, splits or sharp edges to get line snagged on.